When I was traveling in Sri Lanka, I had the privilege of taking a journey to the very northern part of the country. Ravaged by war just a few years ago, the islands of the north are now quiet, heavily guarded by military troops, and sparsely populated. Visiting was an eye opening experience. 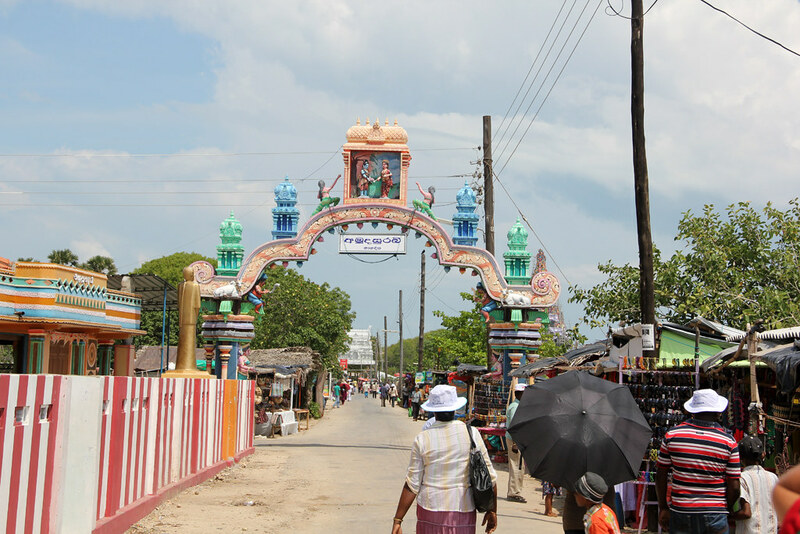 Jaffna is the largest city in northern Sri Lanka, and from there it's easy to catch a local public bus to further islands. 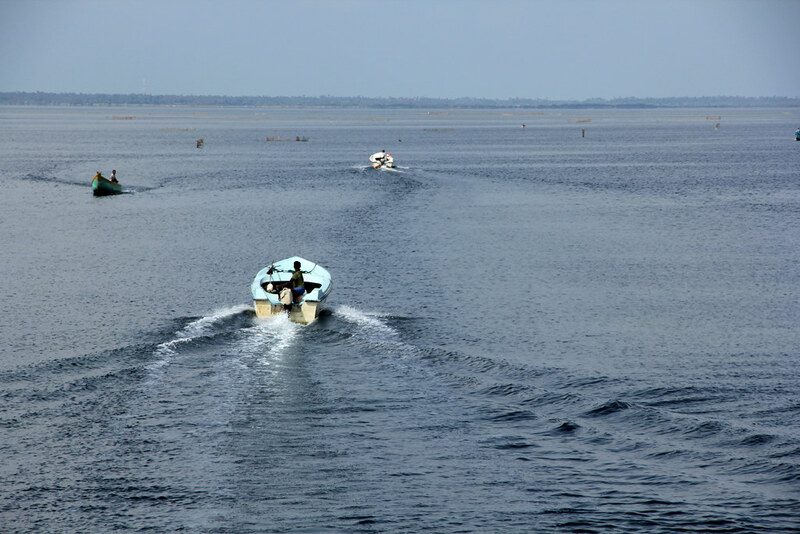 The ocean is calm and shallow, cradled by the majority of Sri Lanka to the south and India to the north and west. Some of the islands are connected by causeway, making them accessible by roads, other islands can only be reached by ferry or boat. How about a lazy day in a tin shack? This was a little makeshift soldier outpost, and despite its appearance of being a relaxing paradise, the heat was so stifling I think one would actually start to cook sitting in this tin shack. The local bus drove much faster than it ever needed to, swerving down the unmaintained island road and screeching to a halt every time someone waved it down. 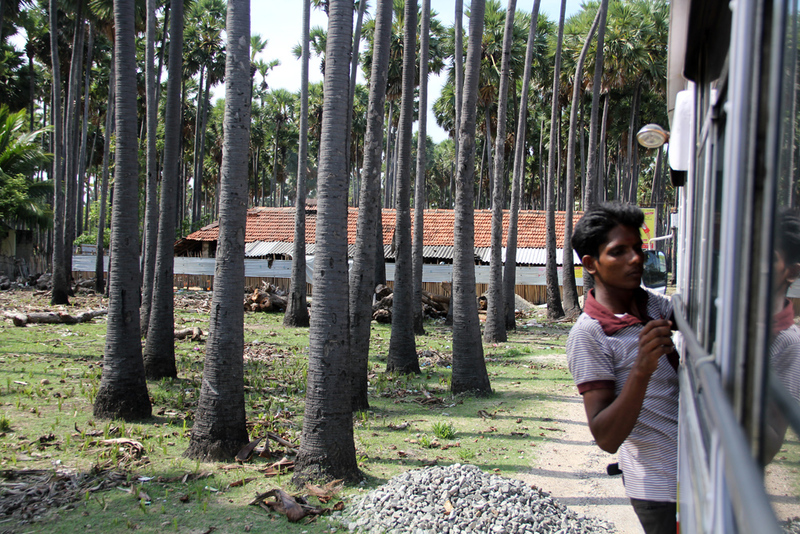 Tamil music was blasting as we cruised past bombed-out ruins, small villages and countless military checkpoints. Entranced by the music and scenery, the entire bus ride seemed to whizz past in a blur. 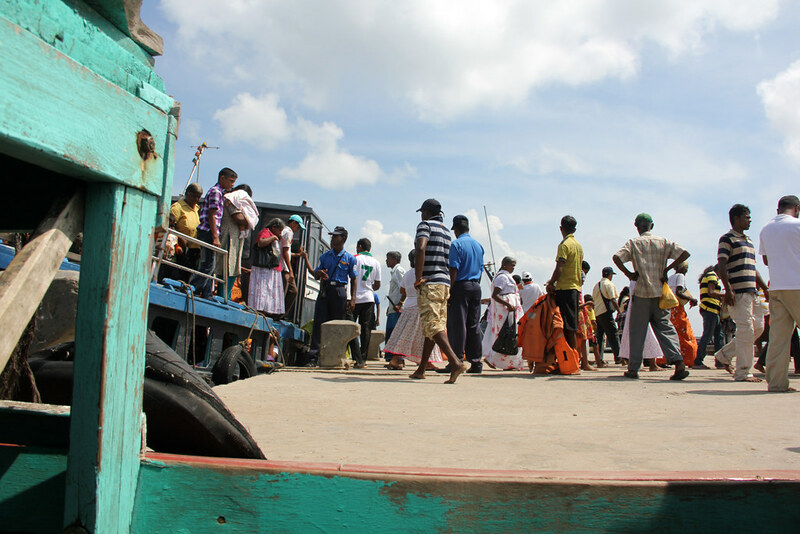 Getting off the bus, we boarded a fairy to Nainativu Island. Crammed into the bottom of a boat inhaling engine fumes doesn't make for the most pleasant of rides, but fortunately it only lasted about 15 minutes. Little did I know until the ferry arrived, Nainativu Island is both a Buddhist and Hindu pilgrimage island, a place where Buddha himself visited during an important full moon festival (many many years ago). The island was tiny, just a few important temples and a series of local stalls selling souvenirs, snacks and religious relics. 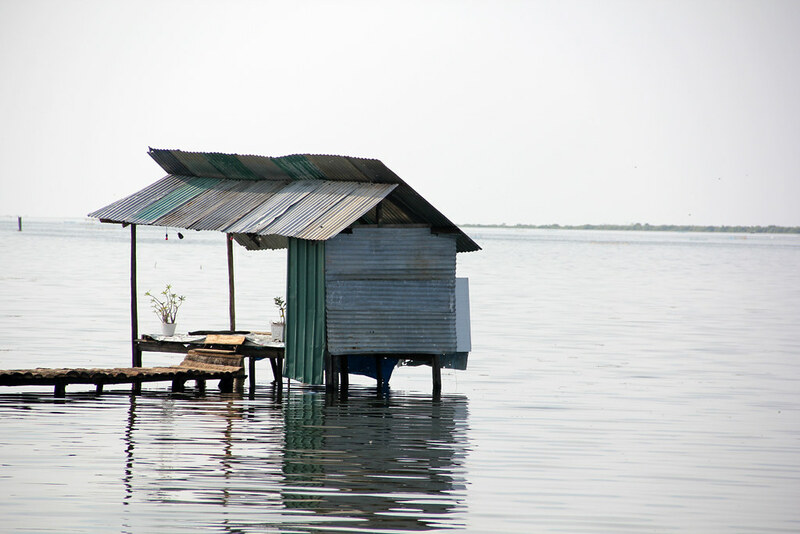 Due to the war in Sri Lanka, Nainativu Island was deserted for nearly 20 years, but just recently it has opened up again. 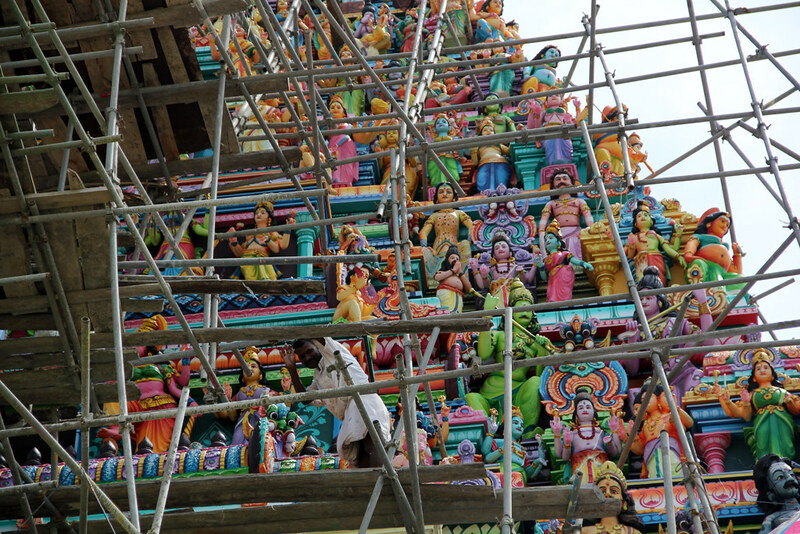 Hoping for more future pilgrims to visit the island, artists were hard at work sculpting and painting additions to the temple. 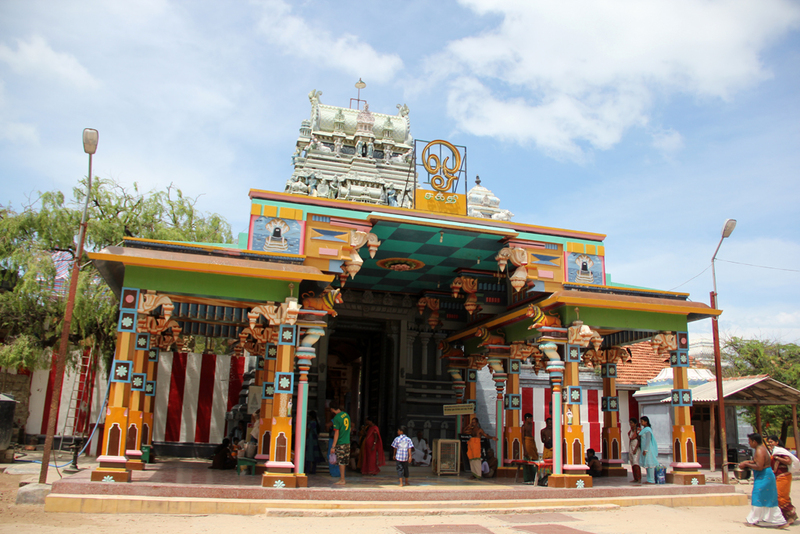 Sri Naga Pooshani Amman Kovil temple is one of the main attractions on the island. Unfortunately, I wasn't able to take any photos of the interior of the temple, but there were stunning paintings on the walls inside. 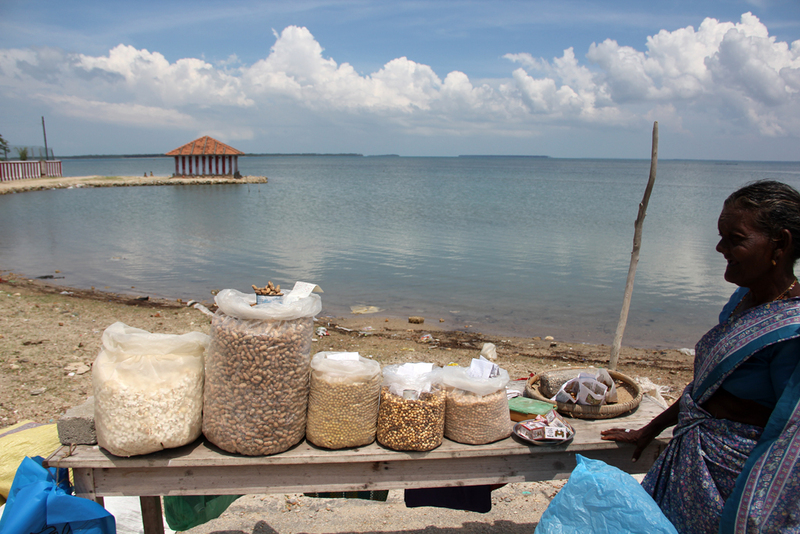 This little old lady sold me a few cans of roasted peanuts which were the perfect snack for the trek back to Jaffna. Visiting the northern islands of Sri Lanka was a fascinating trip I'll never forget. Wow – great photos Dave. Had not even considered Sri Lanka before. Not sure why not – just hadn’t entered my imagination. Nice picture and beautiful place! I have a chance to go to Sri Lanka next month, I hope I can have the free time to visit here. Great pics! 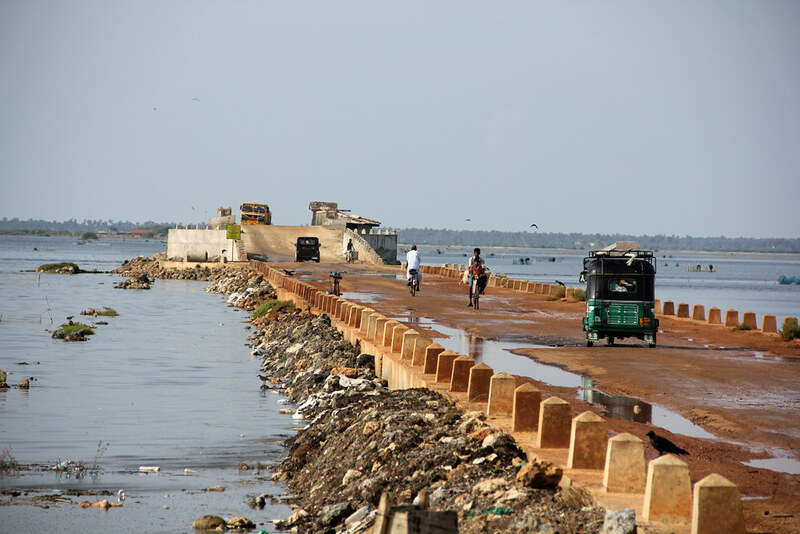 I arrived in Jaffna yesterday and really enjoy this part of the country. It was a long trip from Mirissa but I managed to make it two days by bus. Beautiful pictures. I’ll be heading for my third trip to Sri Lanka next month. Still won’t have a chance to visit the north; we always spend most of our time in the east, for family visits. This time we’ll try the southern beaches as well. Beautiful, troubled Sri Lanka, I hope the peace continues. Loving these photos. Never seen images of this side of Sri Lanka after the Civil War. Would love to have seen photos of the interior of the Hindu temple but hey, rules are rules. The outside looks like it’s shaping up to be pretty spectacular! After the end of 30 years old war, the Northen Sri Lanka is gaining a rapid development particularly in terms of infrastructure, finance, education and tourism. It’s sure that this very North of Sri Lanka has a rosy future as the peace continues. If you tour Sri Lanka don’t forget to visit the North. Immerse yourself in this Northern part of Sri Lanka which was like a hidden gem that has long been suppressed due to a 30 year long war. Now North is gaining popularity as a major tourist attraction of Sri Lanka. Sri lanka …is a country with a fabulous history. Home to one of the oldest civilizations in the world and offering much natural beauty & ecological diversity. Sri Lanka is the ultimate tour destination for 2010 and beyond.